So… I recently bought a jar of cardamom for a recipe and used maybe half a teaspoon. And this is a large jar that cost about $11. And by large jar I mean a large spice jar, not a giant canister or anything. And although I’m in my late 20s and $11 is not a big deal, it kind of IS a big deal when you only use like .05% of the jar for one recipe. Have I rambled enough about cardamom yet? Anyway, so because of this, I was determined to use cardamom in most (if not all) holiday recipes I make this season. So prepare yourselves my friends, for an onslaught of wintery, cardamom-y goodness. 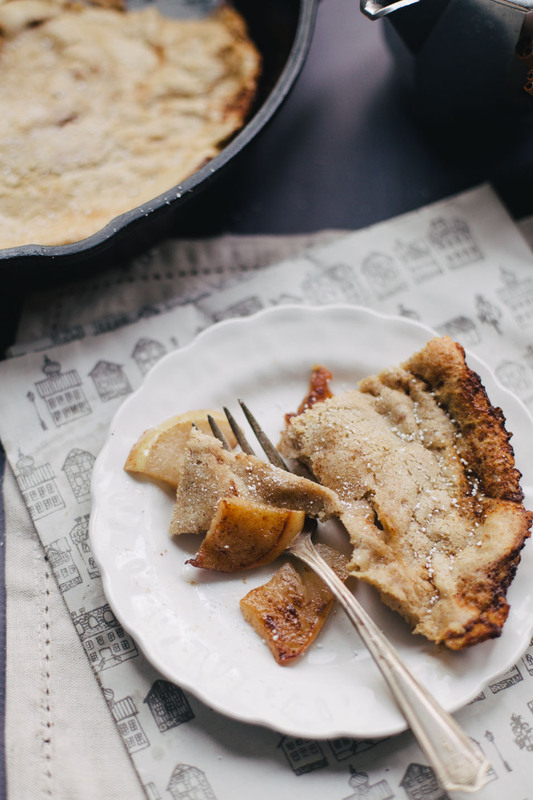 Starting with this fluffy, spiced pear dutch baby that’s the perfect Christmas day recipe. And that it’s super easy and only takes one skillet only adds to the appeal. 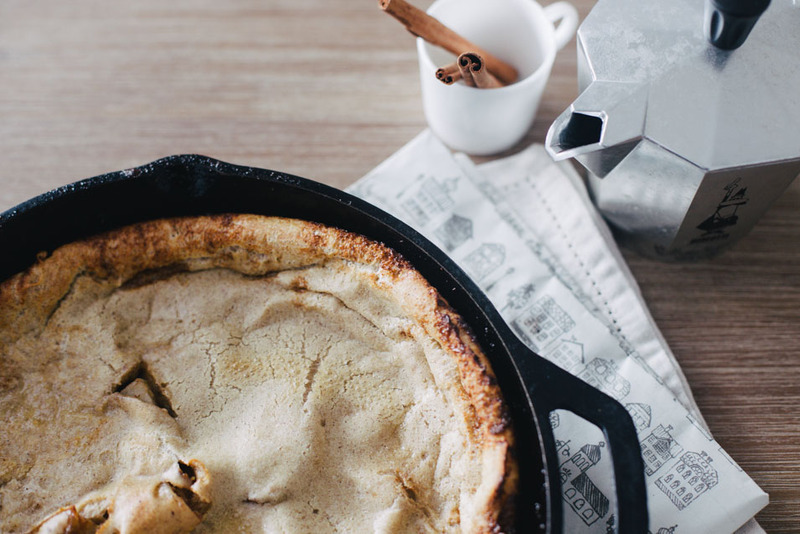 A dutch baby is kind of like a cross between a normal pancake and a swedish pancake. When it comes fresh out of the oven, it’s light and fluffy, but I have to warn you it deflates pretty quickly. Then it’s a nice, chewy pancake with a flavorful, custardy center. Enjoy! First prepare the oven by preheating to 425 degrees F. In a medium bowl, whisk the eggs, milk, flour, vanilla, salt and 1/2 tsp of the cinnamon until there’s no lumps. 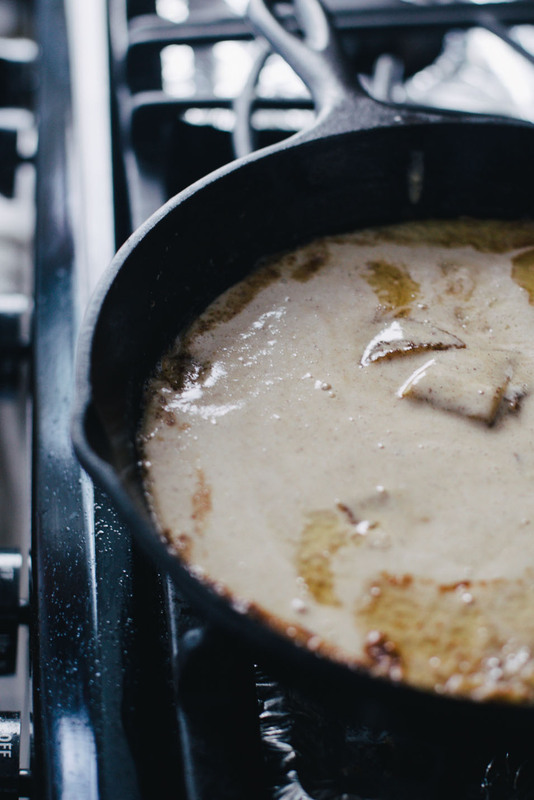 In a cast iron skillet, melt 2 tbsp of the butter over medium heat. 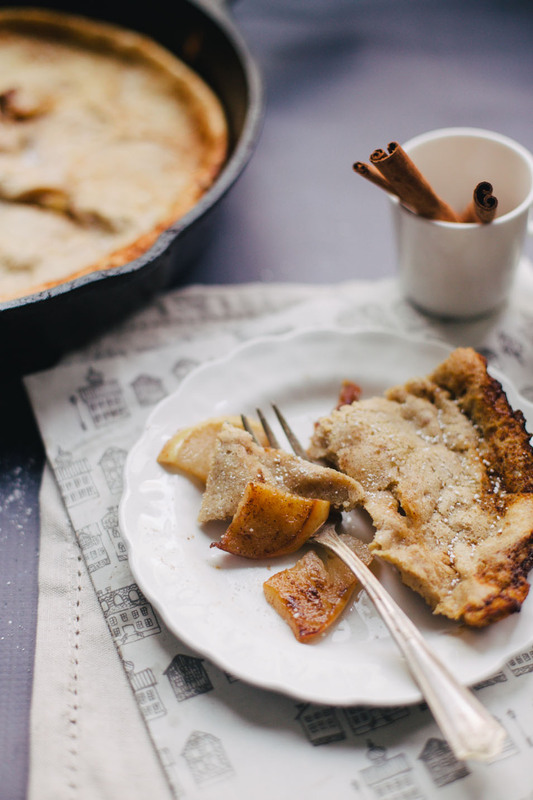 Toss the pear slices and sprinkle the cardamom, brown sugar and rest of cinnamon. Cook until it’s softened (about 5 min), making sure to toss often. Set the pear aside. Wipe the skillet. Heat the skillet in the oven for about 10 minutes, until it’s very hot. Remove and add 2 tbsp of butter to the skillet, making sure to tilt and coat all of the sides and bottom with the butter. Put the pear in the middle, then pour batter over it. Bake until the dutch baby is super fluffy and golden brown, but the inside is still custardy. This will take about 12-15 minutes. Next PostWE’RE (FINALLY) ON INSTAGRAM!